You’ve done it! You’ve set up your classroom. The display boards are backed, there are appropriate headings and you’ve not put too many laminated posters up. You’ve put all the tables into the same size groupings, set up a reading corner and organised the labels for the children’s drawers. 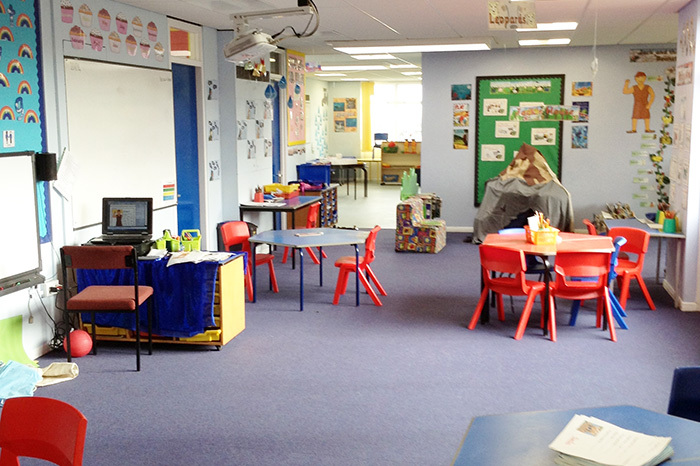 The classroom is looking clean, organised and perfect – all ready for the children to descend in a few weeks time. However, although a classroom can feel perfectly set up, when the children arrive you will often find that things don’t quite work as expected. So here is my classroom checklist to help ensure that your classroom is as good as it can be for September. Take a look at how you and where you have set up your tables. Sit in each one of the children’s chairs around the room and experience the room from their point of view. Can you see the whiteboard? Can you push your chair back easily without banging into furniture or another chair? Is there a table leg blocking the leg space? In most classrooms, especially if you set up the tables in groups, you will find there are a number of places where the children will not be able to easily see the whiteboard. Be very aware of these spaces, and one of the first things to do when the children arrive is to teach them how to carefully turn their chairs around when you need them to see the board. Don’t expect them to naturally do it – more often than not they will just turn their heads rather than their chairs – which is not a great position to learn in! Also, unless your school has particular rules about class set ups, remember that you don’t have to group the tables. Throughout the years I’ve had the tables in lines, in horse shoes and in uneven groupings. Try out various different set ups and think what will work for you and your children. Some teachers feel that the older the children then the less need there is for a carpet space. It’s very much a personal preference, but I have always had a carpet space right up to Year 6 children. Having the children on the carpet with you helps you to quickly assess which children need extra help, will facilitate paired talking and will take away the distraction of being at a table with books, stationery etc. If you are having a carpet space in the older years, make sure there is enough space for the children to all sit comfortably – it can be surprising how tall Years 5 and 6 children are! I would always advocate having a reading/book corner in your classroom. It’s a great way for children to take control over the books they are choosing to read without having to visit the school library, and you can stock it with books relevant to the topics you are studying. 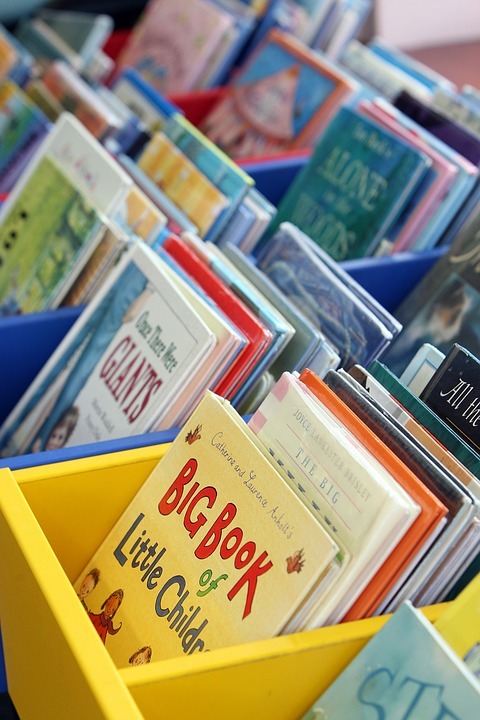 Ensure that you have key questions and help points around the book corner to help guide children in their choices, and if you have put down cushions or bean bags, make sure you know when the children will be using these. There is nothing more frustrating for children to see a lovely cosy nook to curl up in, and then have no time in the school day to use it! The biggest point here is to ensure that each drawer is labelled. Even the youngest of children will be able to help tidy up or get out equipment, so a picture and a label will help everyone know where everything goes. Make sure that your equipment drawers aren’t right next to a group of tables – no child works well when there are other children clamouring to get out the tracing paper or rulers! One of the biggest mistakes teachers make with regards to books is in forgetting that, over the term, the children’s exercise books become fatter as they are filled. Too often there are drawers for each type of book, but by midway through the term the books no longer fit, and the books spill out or are shoved in, neither of which make the room or books look cared for! Be aware that you will definitely need more space than you need at the beginning of the year, and cater for that right at the start. Although I have touched on this before, when you are viewing the room from a child’s perspective, take a look around the room at the displays. Yes, the flower petals with the timetables on them might look lovely close to, but can a child use them from across the room? If not, then ask yourself what the purpose of them is. Remember, displays should be used to enhance the learning, and if they are not doing that for all children, then they are probably not useful! My final point would be to think carefully about your cloakroom set up. It’s very tempting when the cloakroom is empty, to put children’s names above each peg and leave it at that. After all, how much space does a coat take up? 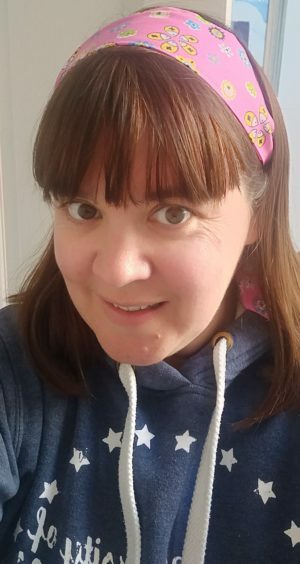 Well, in winter a huge amount – and add the PE bag, book bag and perhaps swimming bag to that, you can guarantee that the cloakroom will have more coats on the floor than on the pegs before winter comes. It’s of utmost importance that the floors in your classroom and cloakroom stay free of clutter, so the best way to do that is to ensure the set up will allow for space. Some teachers will create a box area where PE bags or book bags can be stored, and some will space out the pegs to give the children more space. Whatever you do, remember that small children aren’t great at keeping things tidy and so the more space you can give them for their belongings, the easier it will be all round. 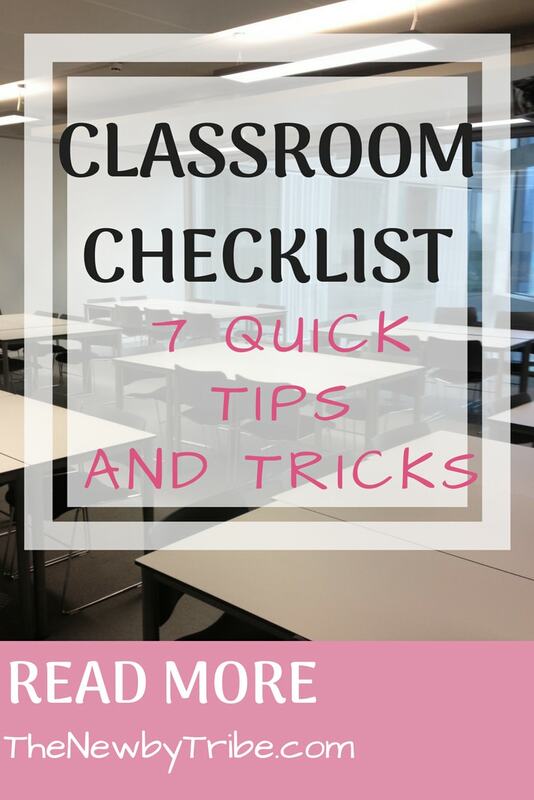 So there you go – my classroom checklist. I can pretty much guarantee that as the term goes on, especially if this is your first classroom, you will come up again frustrations with your set up, and it is perfectly OK to change things around if you want to. After all, it’s your classroom space too, so it needs to work for both you as the teacher and the children. Ultimately, the better the classroom is set up, the better the learning that will happen within it! Do you have anything else you would add to the checklist? I’d love to know in the comments below.